When buying a used guitar, it is common to find sellers who cannot provide information on the model number. These are useful in determining the quality of the guitar as compared to other models released in the same period. Higher models typically use less wood pieces, premium flamed tops, and better pickups. Some MIJ guitar models indicate the selling price at the time. For example, an EG-700 model was sold at 70,000 yen. If you know the model number and year of manufacture, you can check the catalog to validate how it should look like. 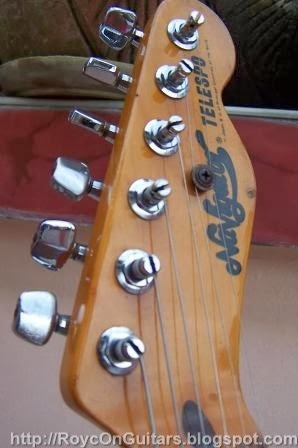 Model numbers can sometimes be found in the neck joint, as in the case of Fender and Fernandes. Manufacturers like Tokai engrave them at the fingerboard or stamp them in the pickup cavities. Greco models have stickers, though they can be easily removed. Older MIJ guitars may not have any indicator at all. Once you have the model number, it is also important to know the year of manufacture. Fortunately, MIJ guitars usually indicate them in the first few digits of the serial number. Google can give you a list of guitar dating sites that you may use. Do note that a zero in the serial number can mean either 1980 or 1990. For Greco, a correct truss rod cover indicates that it is 1980. Aria, Fernandes, Fender, Greco, Orville, Rickenbacker, Tokai, and Yamaha catalogs from the 70s to the 90s. This is an intensive catalog of Greco guitars. This is not a guitar catalog site, but it has a long list of links to popular and rare guitar manufacturers. Find Epiphone, Fender, Gibson, Gretsch, Guild, Hagstrom, Hofner, Ovation, and Vox catalogs from the 50s to the 80s here. This site has Vintage guitar catalogs for popular and rarely heard guitars. 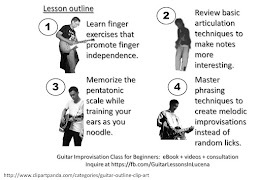 This is the best source of information for Tokai guitars. This is the official site of ESP and Navigator guitar catalogs. Catalogs of Jackson Charvel, Ibanez, ESP, LTD, Fernandes, and Caparison guitars. The official site for Ibanez catalogs. Music Zoo’s Charvel guitar catalogs.